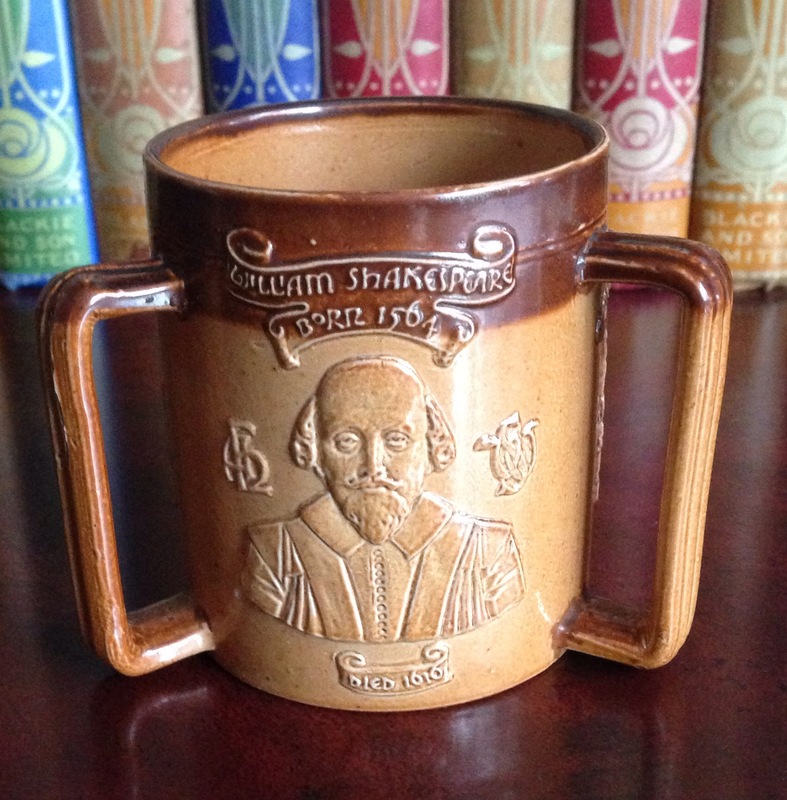 From what I have discovered there appears to be two types of Shakespeare ware. The later pieces with scenes from the famous playwright and poets works, produced to commemorate the 350th anniversary of his birth in 1564. Then there is also this series pictured. This tyg is decorated with a relief portrait of Shakespeare and then his house in Stratford and Ann Hathaway, his wife’s cottage. The tyg dates to 1905 and carries a date letter, as well as a registration number for this period. A nice commemorative for literature fans!